In 1993 Ty released the Attic Treasures line of toys. Most probably don't realize these are different from Ty Beanie Babies. 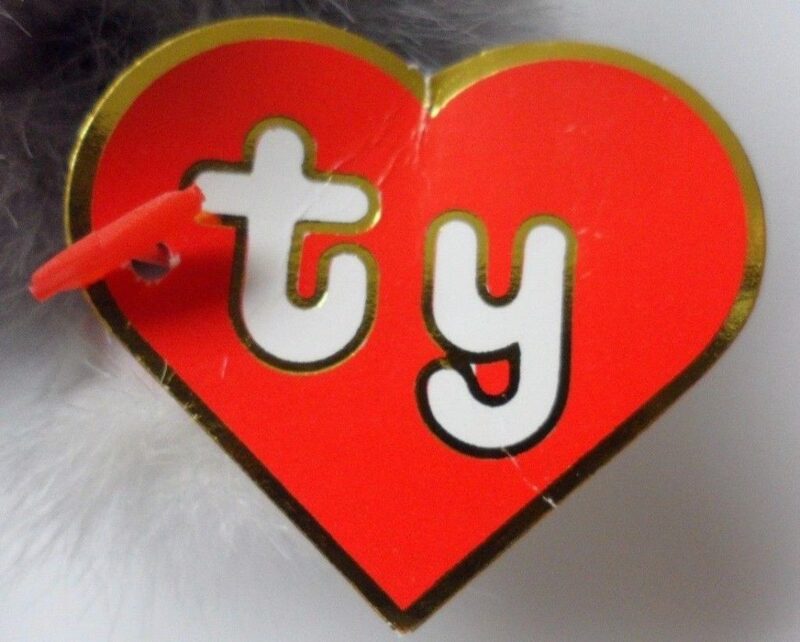 Attic Treasures never reached the value and popularity that Beanie Babies did. Despite that, there are some Attic Treasures that do have some value. 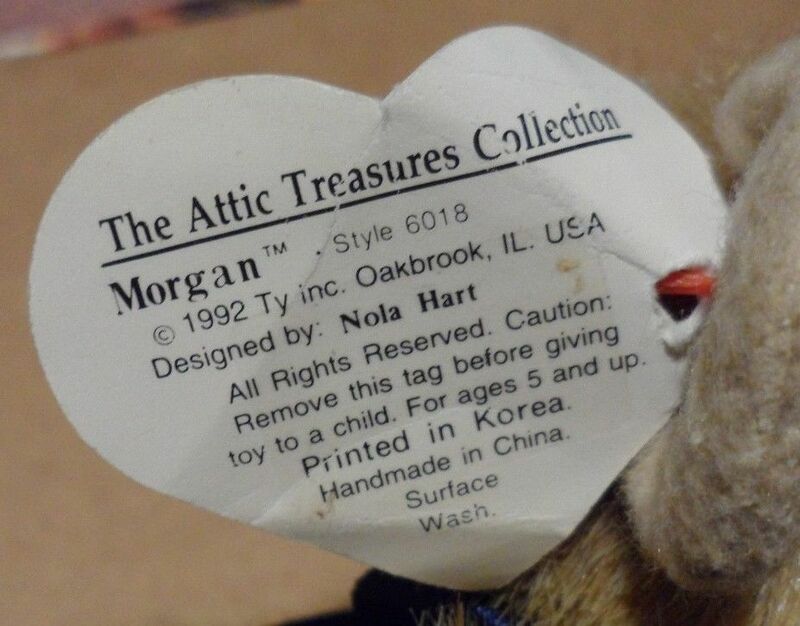 Like Beanie Babies, Attic Treasures values generally depend on the tags it has. The earliest versions, ones with 1st Generation tags, are typically worth the most. An easy way to tell if you have a 1st Generation Attic Treasure is that the tag will not open like a book. 1st Generation Attic Treasures are: Clifford, Dexter, Digby, Emily, Fraser, Gilbert, Henry, Jeremy, Morgan, Nicholas, Nola, Pouncer, Reggie, Squeaky, Tracey, Tyler, Whiskers and Woolie.